They are so sheepishly in need of authority that even when it becomes clear that all their leaders are some combination of crazy, incompetent, or just plain evil, they do nothing but shout nonsensical support for whichever shithead they think will best represent them. Some of the characters seemed interesting. There’s a teenage girl, Norrie, with two racially-diverse mothers, and a corrupt politician and businessman known as “Big Jim.” But these characters were not consistently portrayed. Norrie starts off by defiantly telling her peers that she has two mothers and they just need to “deal with it.” Then she refers to her biological mother as her mother and eventually starts referring to her mother’s partner as Carolyn. It was a very sad reassertion of hetero-normative values that managed to also insult adoptive parents. Dean Norris plays Big Jim with intensity, but even he can’t save a character that is written as coldly killing anyone who gets in his way only to be shown as sympathetic family man and community leader after the commercial break. The worst part of the show is its one consistent character, the collective persona of the townsfolk. They are so sheepishly in need of authority that even when it becomes clear that all their leaders are some combination of crazy, incompetent, or just plain evil, they do nothing but shout nonsensical support for whichever shithead they think will best represent them. This was in a village of thousand people were everyone more or less knows each other, yet no one ever steps forward and proposes alternatives ideas. In fairness, this mess of show does have a consistent underlying philosophy — contempt for humanity. It turned out that the dome was just another inconsistent character to be jerked around for plot convenience. 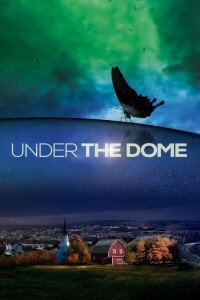 The dome is apparently controlled by an alien intelligence, but it has no discernible motive. 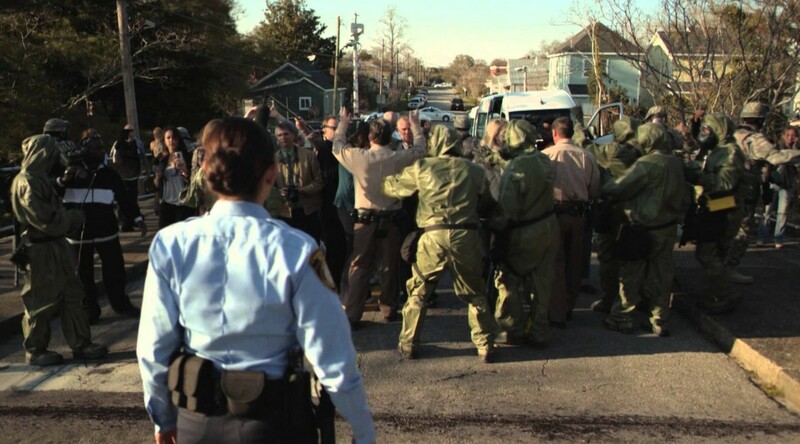 Instead it behaves capriciously to create the show’s tense situation of the week. Naturally, given the contempt for the townsfolk this show displays, people increasingly see the dome as some kind of religious manifestation. They variously see the dome as God’s will, a god in itself, or something God needs to deliver them from. Sometimes it’s some nauseating combination of all of them. The opening episode of season 3 was the worst regurgitation of an overworked sci-fi/fantasy trope it has been my displeasure to see. The sets also looked like less imaginative versions of old Doctor Who or Star Trek at their worst, but somehow lacked even camp value. I just couldn’t take it anymore. This week I grab my box set of Red Dwarf, a much better use of my time.